from the Bert Fireman Collection (courtesy of the AZ Historical Foundation, via Jonathan Westerling). 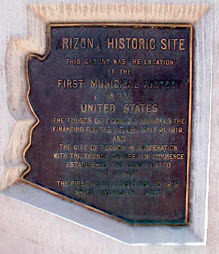 The very first municipally owned airport in the United States was located at this site in Tucson. The airfield was originally named Macauley Field after Maj. T. C. Macauley, an Army officer well known in Tucson and an early-day U.S. Air Service pilot. City of Tucson: O.C. Parker, R.E. Fishburn, H.S. Corbett, Stanley Kitt, Folsom Miere. Chamber of Commerce: Allen B Jaynes, Orville S. McPherson, Monte Mansfield, Kirke Moore, C.J. Anderson. 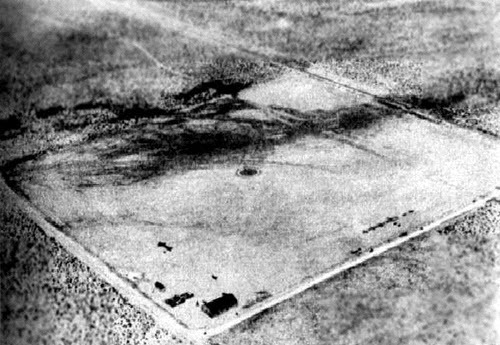 The 82.6 acre airfield was constructed in a joint effort by the city and Chamber of Commerce at the behest of the War Department, which was trying to seal the border from marauders and villianistas, supporters of Pancho Villa. Later, in 1920, the name of the airfield was changed to Fishburn Field and then to the Tucson Municipal Flying Field. In the airfield’s first four years most of the planes using the field were Army patrol aircraft. Border hostilities eventually waned and in 1923 the Army left and donated the two hangars and a living quarters to the city. By 1925, the airport was crowded with air traffic. However the strip was too soft and too short for takeoffs by newer, larger planes, so city officials acquired 1,280 acres east of Municipal Field and commenced on building a newer facility. 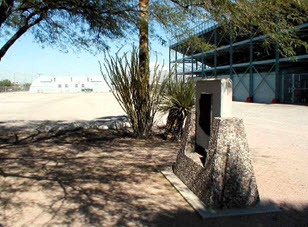 The city moved its airport, including one of the two hangars, in 1927 to the new site, which it named Davis-Monthan Field (still in use today as Davis-Monthan Air Force Base). The old airport remained open for a few years. Charles Mayse, a barnstormer and pilot-for-hire, leased it in 1927 & ran a flying school and sightseeing tours from it. It was at this point that the field was presumably renamed Mayse Field. A September 24, 1927, photo of Charles Lindbergh departing from the Tucson Municipal Flying Field. A September 24, 1927 photo of Charles Lindbergh departing from the Tucson Municipal Flying Field. The August 21, 1929, Department of Commerce Airway Bulletin (courtesy of Jonathan Westerling) described Mayse Field as a commercial airfield owned by the city, and operated by the Mayse Air Service. 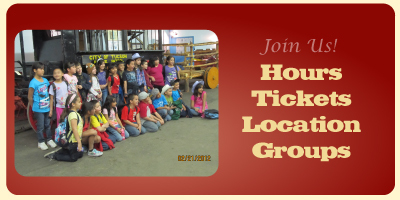 The field was said to consist of an 80-acre, 2,000 square foot gravel field. A 120 x 60 foot hangar (marked with “Mayse Airport”) and two other buildings were depicted on the southwest corner of the field. 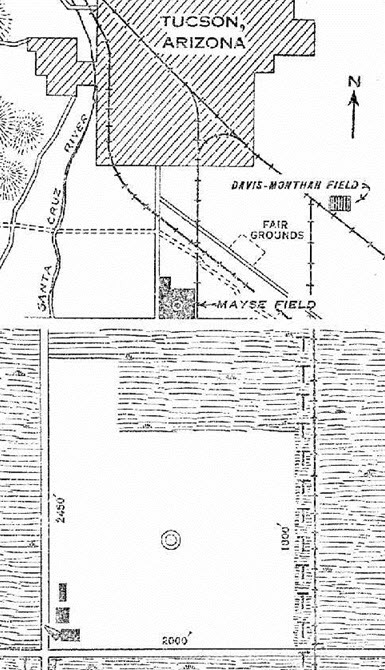 The 1931 Commerce Department Descriptions of Airports and Landing Fields in the U.S. (according to David Brooks) described Mayse Field as a commercial field consisting of an 80-acre irregularly shaped gravel field, measuring 2,000 x 1,800 feet, with a single 2,450 foot north/south runway. “Mayse Airport” was marked on top of a hangar. The 1932 Air Navigation Map #30 (courtesy of Bill Johnston) no longer depicted Mayse Field. Charles Mayse ran the field until the city closed it in 1933, when the Rodeo Grounds were relocated to the site of the airport. A 1958 aerial view showed that the fairground & rodeo grounds had taken over the site of the former airport. An undated photo (from a 1970s issue of the Tucson Citizen, courtesy of Jonathan Westerling, enhanced by Bill Grasha) of a flagpole which stood at the site of the Tucson Municipal Flying Field which contained a historical plaque installed in 1933, when the Tucson Rodeo was moved back to the site. 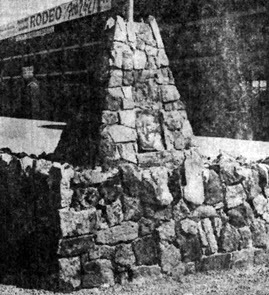 installed in 1933, when the Tucson Rodeo was moved back to the site. 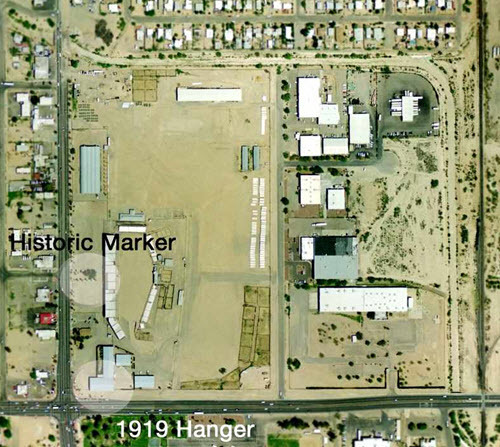 The 2002 USGS aerial photo of the site of the former Tucson Municipal Airport has been annotated by Jonathan Westerling to show the location of the historical marker & the former hangar. There are no discernible remains of any runways. 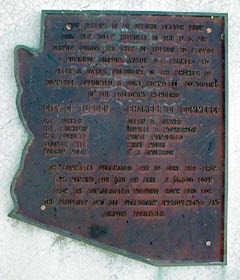 Marker at the site of the former Tucson Municipal Airport. of the plaque on one side of the historical marker. of the plaque on the other side of the historical marker. 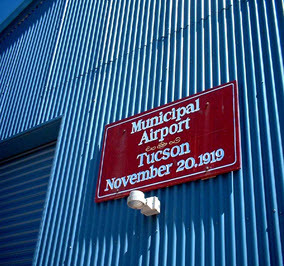 A March 2012 photo by David Westerling of the sign commemorating the November 20, 1919 hangar of the Tucson Municipal Airport. 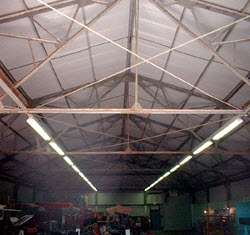 A March 2012 photo by David Westerling of the interior of the 1919 hangar of the Tucson Municipal Airport. 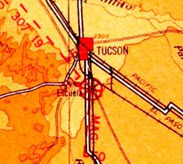 The site of the Tucson Municipal Flying Field is located northeast of the intersection of South 6th Avenue & East Irvington Avenue.